Top quality beef and lamb from Scotland were also showcased at the world-renowned awards in Melton Mowbray where Scotch Beef PGI, Scotch Lamb PGI and The Scotch Butchers Club featured in the line-up of sponsors. 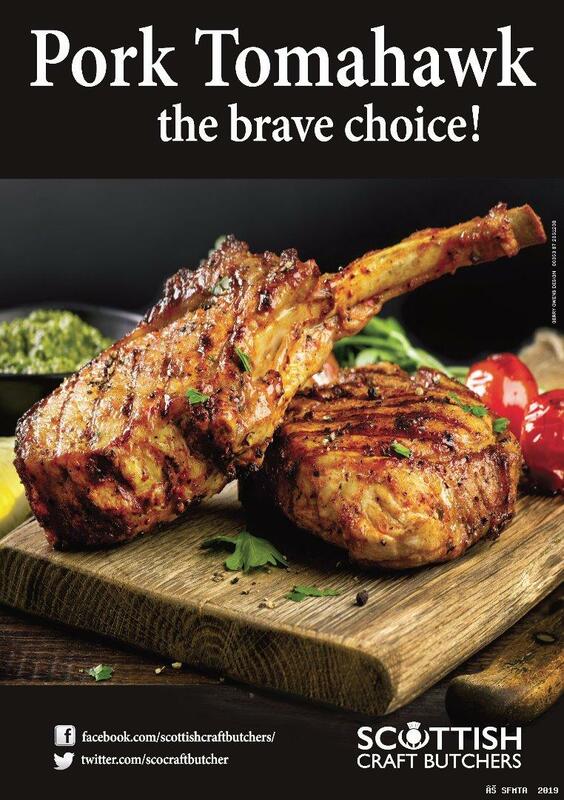 From Inverness-shire, A&I Quality butchers scooped two silver awards and three bronze awards, and Hastie & Dyce was awarded a silver award for their mince round. Hugh Black and Sons Butchers Ltd were prized with a silver award for their steak and haggis pie and a bronze award for their chicken and smoked ham hough pie. West Lothian-based Boghall Butchers, was awarded highly commended in the Pasty class with their apple and sultana pasty (pictured below) as well as lifting four silver awards and five bronze awards. The annual event, which is celebrating its 10th year, saw over 900 pies judged in 22 categories by pie experts, celebrity chefs and acclaimed food writers. The competition attracted the nation’s top pie makers who all contended to win the coveted title of Supreme Champion 2018 which was won by Turner’s Pies Ltd for their steak and ale pie. The awards celebrate the nation’s love of pies and this year’s competition saw Scotch Beef PGI as the sponsor of the Beef and Ale Pie category in which the top prize was awarded to Turner’s Pies Ltd for their steak and ale pie. Scotch Lamb PGI sponsored the Lamb Pie category, where Russian Food Co. scooped the top prize with their lamb and lingonberry bunza. The Scotch Butchers Club, run by Quality Meat Scotland, sponsored a new category for 2018, Best Meat Pie from Scotland, which was awarded to Jarvis Pickle for their pork and blue cheese pie. Dr Matthew O’Callaghan, organiser of the British Pie Award said. 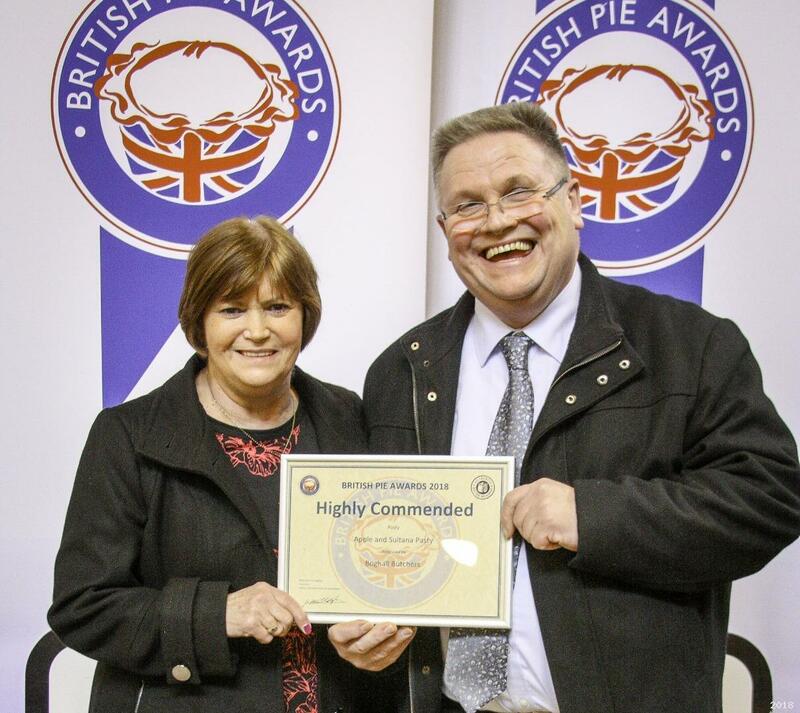 “We have around 60 new entrants to the British Pie Awards this year and I am sure the initiative from the Scotch Butchers Club encouraged more butchers North of the Border to enter. 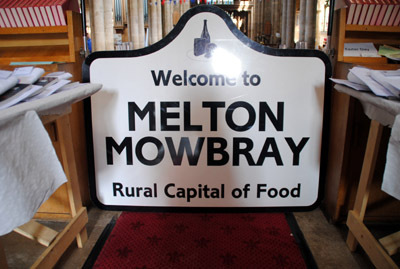 I have also to admire the tenacity of the Scottish piemakers who despite the worst weather for years eventually managed to get their pies down to Melton Mowbray to be judged for the awards. “We extended the deadline to accommodate these late entries and I am glad we did so because there were some cracking pies among them.